It's Time to Make Room for the New Fall 2014 Collection! 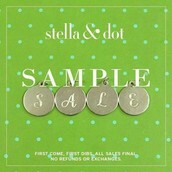 It's a great time to take advantage of my Sample Sale! 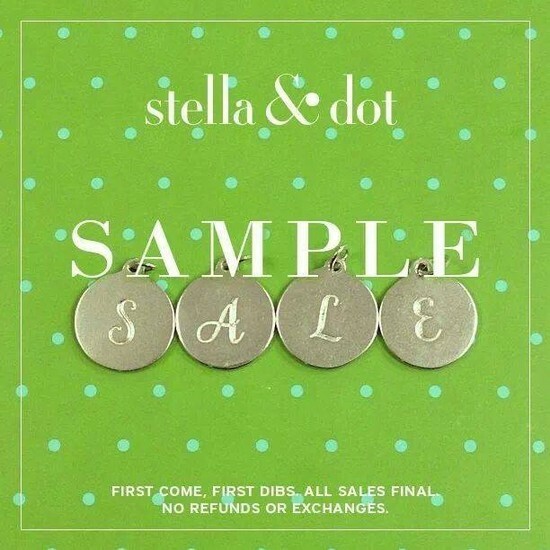 It's a great time to take advantage of my Sample Sale to get Stella & Dot Style for less. 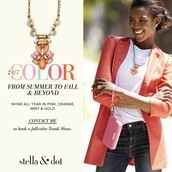 I've just got to make room for the new Fall and Winter Collections! Please note all sales are first come, first dibs. All sales final. No returns or exchanges. All Payments arranged through Paypal or by arrangement with Jessica. Originally $69.00. I'm selling for $34.00 plus $5 for shipping. Excellent condition and used mostly for display at Trunk Shows. Available with original box. The Tessa Fringe Necklace is edgy but flirty, this menagerie of glass beads, steel chain, and colored nylon threads weaves together a casual pendant. Metal fringe adds movement. 25" long with 2" extender. Originally $34.00. I'm selling for $17.00 plus $5 shipping. Excellent condition and used mostly for display. Available with original box. 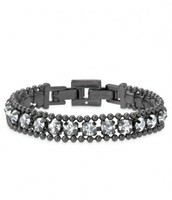 The Urbane , is a classic clasp bracelet with a glam update. 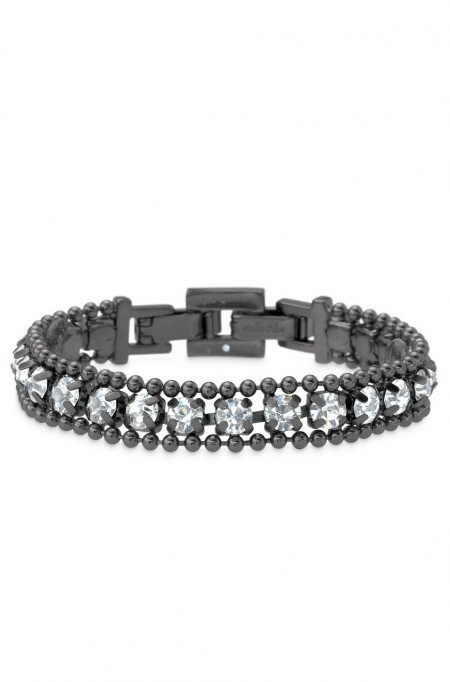 Delicate hematite plating with ball chain and glass crystals. Originally $89.00. I'm selling for $49.00 plus $5 shipping. Excellent condition and used mostly for display. Available with original box. The Kimberly is vintage-inspired, light-catching lattice necklace comes in brass with gold-plating or silver. 24" length with 2" extender. Originally $49.00. I am selling them for $24.00 plus $5 shipping. Excellent condition and used mostly for display. Available with original box. Price Includes Shipping. The Aviva Chandeliers were the summer season's must-have statement earrings. Sterling silver ear wire with gold plating. The proceeds from the these two new gorgeous bracelets all benefit the Noreen Fraser Foundation, supporting breast cancer research. Which one will you purchase– the Inspire bracelet (left) or the Strength bracelet (right)? If you choose a date between now and the end of September I'll gift you a pair of stud earrings, just because! 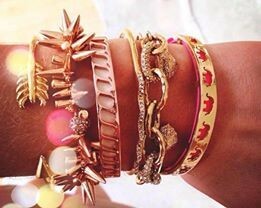 That, of course, is in addition to the free jewelry and accessories you can earn with a qualifying trunk show! Contact me for more details and to set a date! 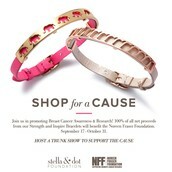 Don't want to do a trunk show in person? Let's talk about a virtual show!